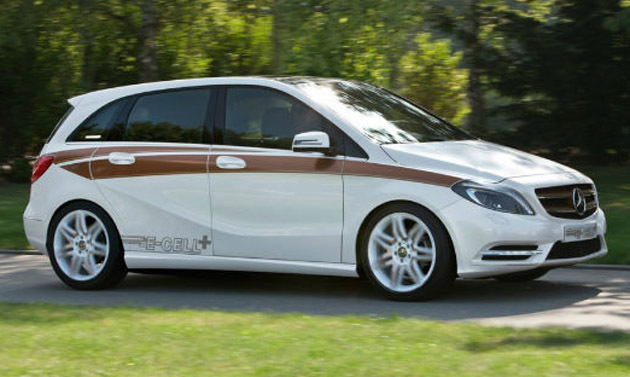 Tesla to help Mercedes-Benz in Launching electric version of B-Class? In February this year, Tesla confirmed that it was working with the Mercedes-Benz on a third electric car project. Tesla had earlier rendered its expertise with Mercedes-Benz on Mercedes Benz A Class E-Celland Smart for Two Electric drive vehicles. According to the latest reports, the third project would be an electrical version of the latest generation B Class and will primarily be aimed at the American market. Daimler, the Parent company of Mercedes-Benz, is also the primary shareholder in Tesla and with the original share purchase deal between Tesla and Daimler, the German manufacturer got access to Tesla’s much renowned battery technology and technical know-how, which were the key factors that contributed in bringing the electrical cars to the market. Now, Daimler is keen on using all that expertise and technical knowledge from Tesla to launch its electrical Mercedes-Benz E Class most probably in 2014. According to an interview to the Automobilwoche, Daimler revealed its intention to bring another technically advanced electrical or battery powered vehicle in the market. This vehicle will be the latest generation B Class all electric coupe. According to the reports, Tesla will be supplying key components like battery, control systems and electrical motor required for manufacturing this vehicle. Mercedes-Benz had earlier planned to reveal anincreased range electric version of the Mercedes-Benz B Class and had revealed a concept model at the 2011 Frankfurt Auto Show. However, referring to the Tesla’s remarkable success with the Model S and favorable classifications and higher incentive rates for the pure electric drive vehicles, the plan to produce extended range B Class has been put on hold temporarily in favor of an all-electric drive vehicle, according to the Mercedes-Benz spokesman.